The Voipia customized ATA Device connects a single analog phone or fax at your home or office to the Voipia Platform. Simple to install and easy to use. The VSP600 cordless base station/handset combination uses DECT 6.0 Technology and is ideal for customers that new to talk while on the move around their office or warehouse. Depending on where the desk phone is placed, cordless users can stay connected up to 300 feet away (even communicating through walls). Up to 6 Cordless phones can be connected to Base Antenna supporting four (4) simultaneous calls with the ability to Hold and Transfer calls inside and outside the office. 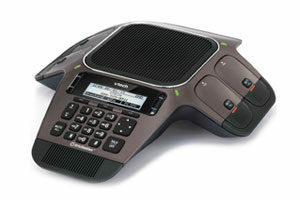 The VSP608 cordless base station/desk phone combination uses DECT 6.0 Technology and is ideal for customers that need to locate a desk phone in areas that do not have an Internet Connection. Depending on where the desk phone is placed, cordless users can stay connected up to 300 feet away (even communicating through walls). Up to 6 Desk phones can be connected to Base Antenna supporting four (4) simultaneous calls with the ability to Hold and Transfer calls inside and outside the office. vTech VCS752 ErisStation SIP Conference Phone with two wireless miss includes 1 fixed microphone and 2 DECT 6.0 wireless microphones with Orbitlink Wireless Technology and support for up to 3 SIP counts. Full-duplex speakerphone in base DECT 6.0 for wireless speakerphone expansion. Bluetooth connectivity for headset and mobile pairing. Up to 12 hours of talk time per wireless microphone. 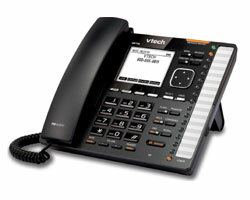 vTech VCS754 is perfect for offices with very large conference rooms. It comes with four removable DECT 6.0 microphones. Unlike traditional conference phones, ErisStation lets everyone spread out and speak without having to gather around the phone or raise their voices. Advanced audio features, such as acoustic echo cancellation, automatic gain control and dynamic noise reduction, deliver premium, interference-free sound quality. Plus, integrated design makes it easy to charge the microphones right in the base and keep everything together. 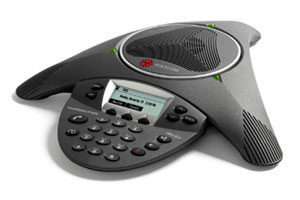 Polycom IP 6000 with Power Supply features Polycom HD Voice technology, boosting productivity and reducing listener fatigue by turning ordinary conference calls into crystal-clear interactive conversations. It delivers high-fidelity audio from 220 Hz to 14 kHz, capturing both the deeper lows and higher frequencies of the human voice for conference calls that sound as natural as being there. The Polycom IP 6000 includes full-duplex technology that eliminates distracting drop-outs to the latest echo cancellation advancements. Voipia provides a True Phone System with the features included. Voipia’s makes the right technology affordable, and our monthly all inclusive program is a predictable expense. No Surprises! Easy to order. Easy to install. A certified Voipia installation technician will come out to your office and professionally install our Dedicated Voice-Internet Router and activate the circuit. Once the T-1 circuit is activated, your Advanced Phone System will be installed by our Phone Technicians, they will activate the IP Phones, and then train your staff on the ease of use. Are you still in a Voice Agreement with another provider, Voipia’s Hybrid ipPBX can take direct PRI T-1 Circuits. The Polycom VVX 301 6-line Desk Phone with HD Voice is an expandable business media phone that delivers crystal clear communications, enhanced collaboration and personal productivity. It is easy to deploy in to any office environment. 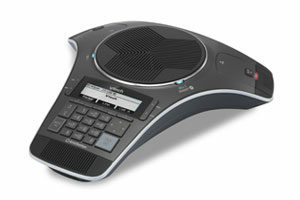 The Polycom VVX 401 12-line Desk Phone with HD Voice delivers breakthrough Polycom® HD Voice quality for life-like conversations, while minimizing fatigue making calls more efficient and productive. The phone provides personalized information at a glance, through built-in web applications and custom backgrounds. It is ready for future expansion modules as your users’ need and business grows. 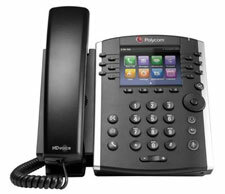 The Polycom VVX 501 12-line Business Media Phone with HD Voice is a Performance Business Media phone with the world’s best high definition audio, video playback, and business application integration delivering best-in-class desktop productivity and Unified Communications for the knowledge worker (the busy professional). Using the large, high-resolution graphical display and the 48 keys, the SIP-T28P offers an excellent user experience when making calls. 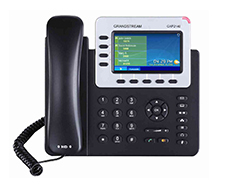 GXP2130 is a three-line IP Phone that is an ideal solution for any office environment. With its color display, calls can be managed quickly and easily. Its 8 programmable speed-dial keys enable one-button access to office personnel, and the dedicated feature keys efficiently manage your Call Activity. 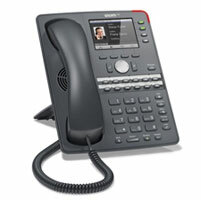 GXP2140 is a business class office phone. It provides HD audio quality for clear voice calls. It comes with 4 lines, a large TFT Color 480×272 backlit graphical LCD, a full duplex speakerphone, and Bluetooth headset link. It can be paired with expansion panels for up to 80 multiple feature and programmable keys. 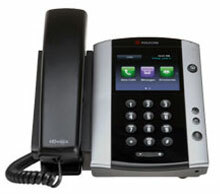 GXP2160 is an executive class office phone. It provides excellent HD voice clarity, a comprehensive set of advanced call features, six independent business lines on a large TFT Color 480×272 backlit graphical LCD, and Bluetooth headset link. It comes with 24 multiple feature and programmable keys. 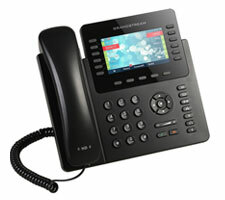 GXP2135 is one of the latest business class office phones from Grandstream. It provides HD audio quality for clear voice calls. It comes with 4 lines, a 2.8 inch TFT Color 320×240 backlit graphical LCD, a full duplex speakerphone, and Bluetooth headset link. The phone includes 4 speed dial/BLF keys, and 24 additional secondary-screen speed dial/BLF keys to help users be more productive and efficient. This is a great desk phone for your office staff. GXP2170 is a powerful enterprise-grade IP phone that is ideal for busy users who handle high call volumes. It provides HD audio quality for clear voice calls. It comes with 12 lines, a large 4.3 inch 480×272 TFT Color backlit graphical LCD, a full duplex speakerphone, and Bluetooth headset link. It can be paired with expansion panels for up to 80 multiple feature and programmable keys. As a stand alone desk phone, this is perfect for office managers. Paired with the expansion panels, Receptionists can easily monitor and manage all office calls. 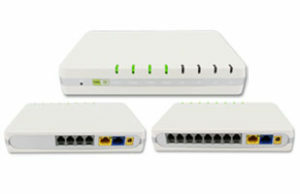 This Voipia configured SIP Gateway provides clear and reliable voice quality over standard Internet connections. 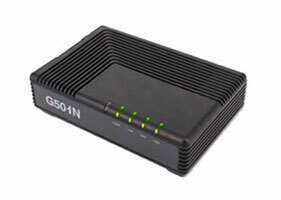 Used with Voipia SIP Trunks, this gateway is purchased most often as a replacement for local Business Phone lines. 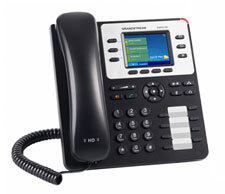 It comes in a 4-Port and 8-Port model for small and medium size offices that have existing phone systems. 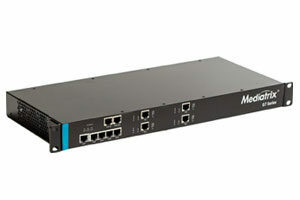 The Mediatrix G7 Series is a reliable and secure VoIP Analog Adaptor and Media Gateway platform for SMBs. Featuring PRI, FXS, and FXO interfaces; the Mediatrix G7 Series provides the best solution to connect legacy equipment to cloud telephony services and IP PBX systems to PSTN landlines. 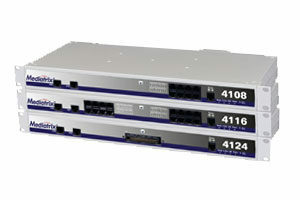 The Mediatrix 4100 Series VoIP adaptors are high-quality, cost efficient VoIP gateways connecting small to large branch offices to Voipia’s IP network, while preserving existing investments in analog telephones and faxes. Voipia’s SIP Trunk Service is converted to Plain Old Telephone Service (POTs). With multiple Call Features and our Network overflow options, customers can save significant money over traditional phone service providers. The Cisco 16-port Gigabit Switch is a rack-mountable switch designed to suit any office space and to optimize power efficiency. It provide reliable connectivity for your business demands. It is a business-class, affordable network solution. The Cisco 24-port QOS Switch is a rack-mountable switch with the flexibility and reliability that growing business can count on. 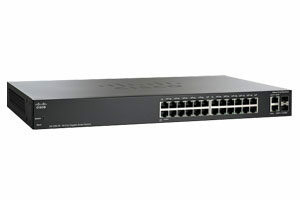 Use this switch to connect up to 24 Voipia IP Phones as well as to share network resources such as servers and network-attached storage. Quality of service (QoS) enhances network performance and improves the quality of voice. 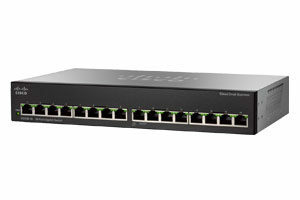 The switch includes two combo mini Gigabit Interface Converter (GBIC) ports that can connect your servers or backbone at Gigabit speeds. Additional Taxes and Fees may apply. Shipping and Handling Fees may apply. The VSP726 professional IP desk phone is an easy-to-install, cost-effective system with the features you need to be successful. 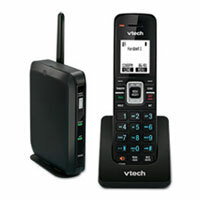 Because it uses DECT 6.0 technology, the VSP726 makes it easy pair an inexpensive cordless headset or handset option. 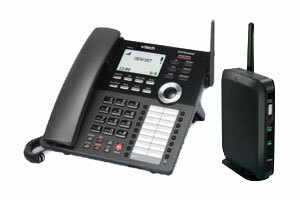 With the touch of a button, you can pair a handset and/or headset to take calls away from your desk. This 4-line business phone has the ability to Hold, Park, and Transfer your customer calls inside and outside the office. The VSP736 professional IP desk phone uses 16 programmable buttons to provide 6 business lines, and quick access to phone network features like speed-dials, Busy Lamp Fields, Hold, Park, and transferring of calls. 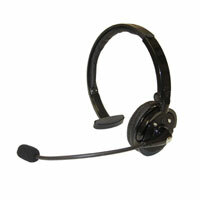 Because it uses DECT 6.0 technology, the VSP736 makes it easy pair an inexpensive cordless headset or handset option. With the touch of a button, you can pair a handset and/or headset to take calls away from your desk. This 4-line business phone has the ability to Hold, Park, and Transfer your customer calls inside and outside the office. The large B&W LCD Screen makes managing calls more efficient and productive. 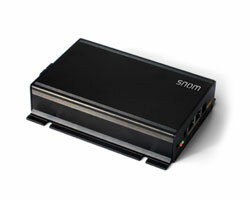 The SNOM D765 combines ease of use, versatility, design quality and audio performance. It offers a 3.5” high-resolution color TFT display that delivers rich information – such as photocaller ID – to the user. 16 freely programmable multicolor function keys can be configured for a variety of one-touch telephony functions such as speed dial and busy lamp field. 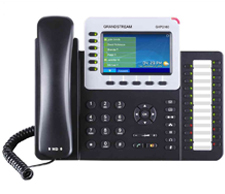 This desk phone features two Gigabit Ethernet ports, built-in Bluetooth compatibility and a high-speed USB port for easy connection of accessories including a USB or Bluetooth headset, a WiFi stick or a D7 expansion module. Superior audio quality is delivered by the advanced speaker and microphone system and the Digital Signal Processor (DSP). Keep your customers on the line, even when you’re on the move in your office. Answer and end calls right from your headset—up to 300 feet from the base. Mute, flash and volume controls make it easy to multi-task, while DECT 6.0 technology and a noise canceling microphone deliver interference-free conversations. Plus, a magnetic charger in the cradle ensures the headset fits and charges securely, so you’ll never run out of battery during long calls. Enjoy the freedom of and comfort of talking on your Voipia Desk Phone without the drawbacks of wired headphones when you purchase the Zelher P20. As one of the best Bluetooth noise cancelling headphones on the market, customers enjoy crystal clear sound with ultimate padded comfort. When working in a busy office, your conversation won’t be disturbed unless that is what you wish, because of the headset’s 4x eternal noise blocking technology. With the headset’s superior microphone, your friends and clients will have no clue that you work with a headset. Snom has developed a SIP bridge (PA1) enabling businesses to extend their existing public announcement speaker system while upgrading from digital/POTs systems into SIP-based voice communication solutions. The PA1 can be used in both small and large applications due to the inclusion of a 4-watt amplifier for single speaker projects. Offices can utilize multiple speakers driven by external high wattage amplifier(s). The PA1 serves as an auto SIP answering preamp that drives the multi-speaker setup. GXP2200EXT delivers additional functionality, versatility and flexibility to Grandstream enterprise IP phone. The GXP2200EXT module features a large 128 x 384 graphic LCD and 20 programmable buttons (each with dual color LED). In addition, it allows up to 40 extensions per module by using the 2 page switch keys and up to 160 buttons when 4 extension modules are daisy-chained together. The GXP2200EXT module is connected, powered, and controlled by the phone, providing the benefits of the additional keys instantly. The Polycom VVX Color Expansion Module is an optimal solution for telephone attendants – receptionists, administrative assistants, secretaries, and other “power users” who manage multiple simultaneous telephone calls on a daily basis. 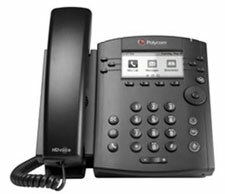 The Polycom VVX Expansion Module extends the functionality of Polycom VVX Business Media Phones and provides multifunctional line keys that can be set up as line registrations, call appearances, speed dials, direct station select or busy lamp field keys. 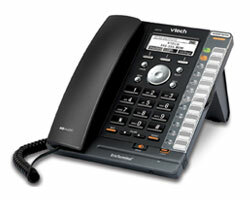 The VVX Color Expansion Module seamlessly matches the look and feel of the VVX Business Media Phones. 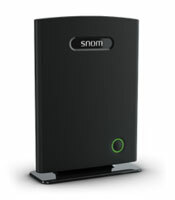 The SNOM M700 IP DECT multi-cell base station provides VoIP wireless coverage across several floors or throughout large buildings. Each base station can be configured for up to 30 handsets. 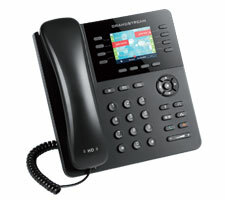 Connected SNOM M65 cordless handsets enjoy IP phone system features such as direct search in the corporate directory and HD audio. The M700 supports DECT encryption to increase coverage. Wireless security is ensured by DECT encryption. Setup is easy and intuitive and there are no additional license charges. © Copyright 2004 - 2017 Voipia Networks, Inc. All rights reserved.